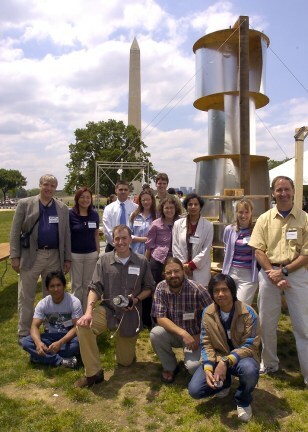 University of Colorado students and professors pose with a wind turbine design they are studying for use in a village in India. The turbine could some day generate electricity as well as pump water and grind grain in the village. The team was one of seven winners at an EPA-sponsored “sustainable design” contest held on the National Mall in Washington, D.C.